AAT was the springboard to my career. 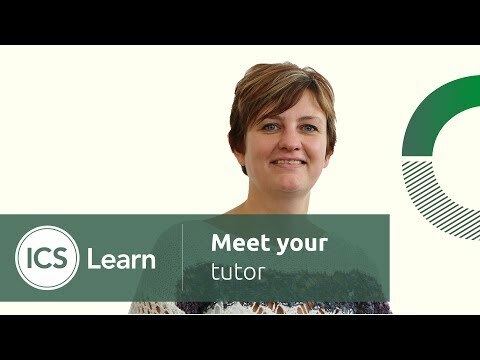 After studying AAT while working in an accounting assistant role many years ago, I moved from working within an accounts department to training and implementing accounting software across the UK and Europe. Eventually this leaded onto a management position. I decided to take a break from the rat race in 2011 and moved into teaching AAT at North Hertfordshire College. During this time I completed my teacher training PTTLS and gained the Assessor Award. At this time I also decided to go freelance as a registered bookkeeper, and I still have a small number of clients today. I find this works well alongside tutoring for ICS Learn as it keeps my knowledge of the accountancy field current. I hope that my diverse experience can benefit you as a student. I have always thrived on passing on knowledge to others and find it rewarding when a concept clicks for someone and you know that you have played a part in that. Between tutoring and being a mum I love buying and restoring old furniture - the creative side complements the logical accounting side!